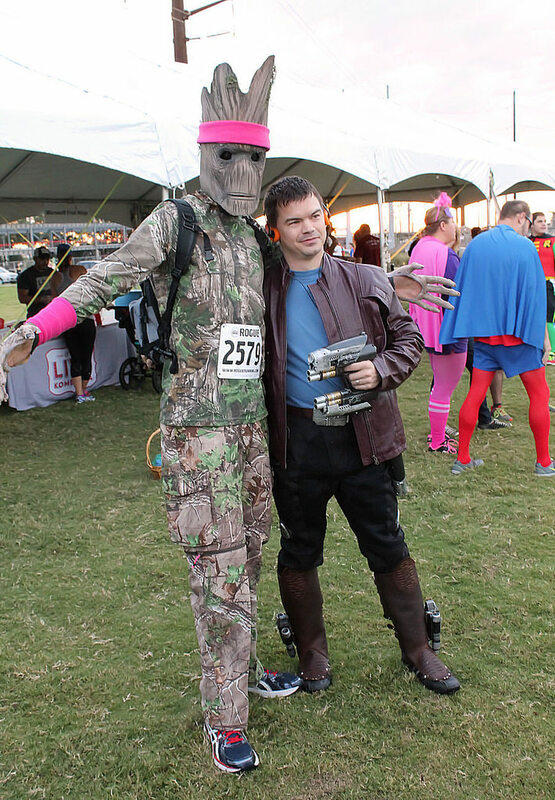 The “Run” | Becoming Star-Lord. Documenting my transformation into a Superhero…for charity, of course. After months of preparation, costume design, and annoying my friends on Facebook, the run is complete. Here’s how it went down. My morning began at 3am. Because my wife was helping to run the event, we had to get there early. Super early. At 4am the park was dark and cool. We couldn’t have asked for better weather. After arriving, I helped place signs, set up tables, and move boxes of t-shirts. It is amazing how much goes on behind the scenes to make these events happen. There were hundreds of volunteers to direct, water stations to set up, and tents to arrange. Despite everything we had to do, it went smoothly and everything was ready by the time the first runners rolled in. And roll in they did – over 2500 runners in all. Supermen, Batmen, Ninja Turtles, Marvel, DC, Nintendo and Nickelodeon. Simple costumes and elaborate costumes. I saw it all. 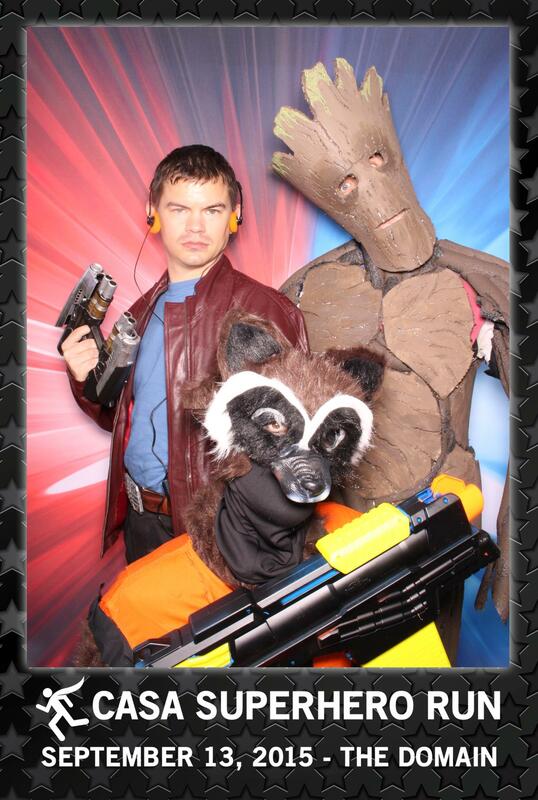 Although I spotted several Groots, there were no other Star Lords in attendance. So, luckily, I had a unique costume. Unfortunately, Star Lord doesn’t really stand out. Very few people realized who I was. I think most people assumed I was some random futuristic biker. But all of the Groots knew who I was…so there’s that. Before the run, I spent most of my time watching the costume contest. It was great seeing people show off costumes they put so much time into. I have to say, my favorite was the “Mario Kart” family. Hilarious, and ingenious. Eventually, it was time to head to the starting line. I made my way there and ended up near the end of the pack. That was fine with me. I wasn’t looking to win any speed medals. In fact, I was so paranoid of dropping the Walkman that I ended up walking the majority of the route. My brother, dressed as Duffman, walked with me. I’m not going to lie, it was warm. Hot even. The jacket and the pants are not ideal for running/walking. However, I’m proud to say that I survived. Guardians of the Galaxy…and Robin with ice cream. 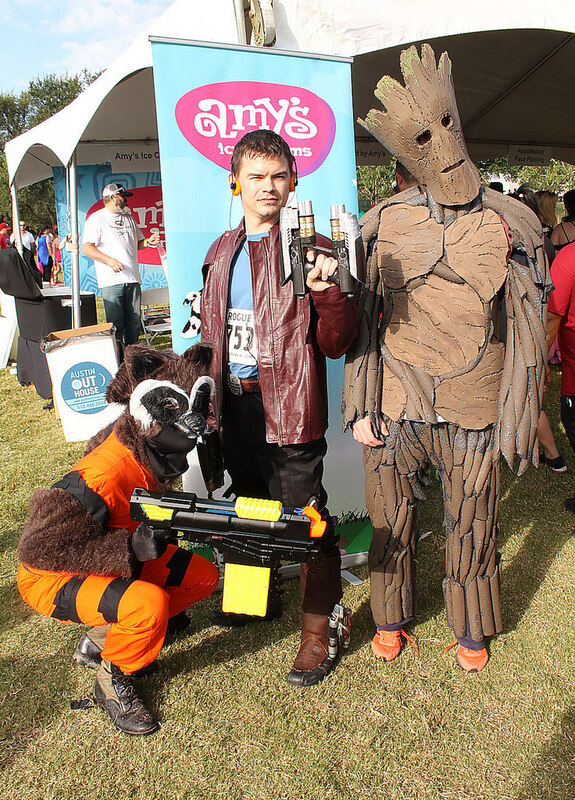 Found some other Guardians at the run. Here is the full getup! 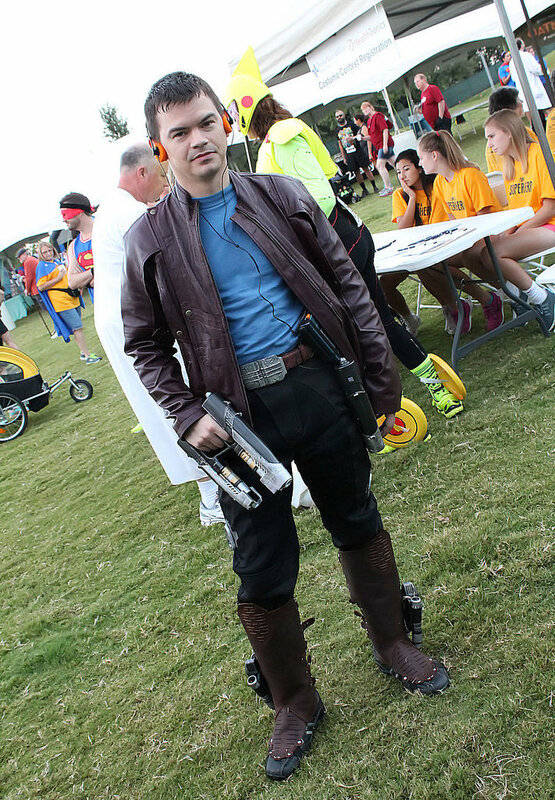 This entry was posted in The Race and tagged 5k, CASA, charity, Children, cosplay, costume, fundraising, guardians of the galaxy, Kids, Marvel on September 19, 2015 by Liam. Rocket Booster Controls: Part 2!